Ayurveda is a holistic system of medicine developed in india which continues to be one of the world’s most sophisticated and powerful mind-body health systems..
Al Marjan Ayurvedic Centre located at the heart of Ajman, Al Marjan Ayurvedic Centre opens up a world of treatment with perfect blend of ayurveda, marma therapy,Kalari and yoga under the strict guidance of highly motivated, committed and experienced doctors and staff to offer the patients special, result-oriented solutions for their health problems. The management has plans to make the services of the Centre available in other Emirates in the future, with an aim to increase the acceptance of Ayurveda across the UAE. Their vision is to spread the true essence of Ayurveda and its health benefits in the UAE. 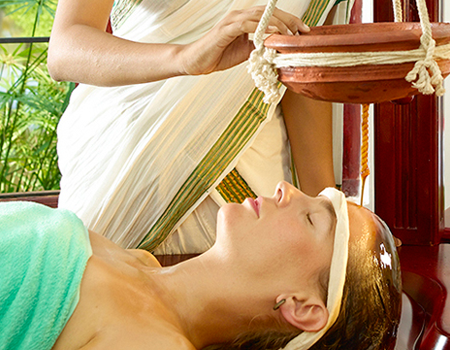 Ayurveda is the ancient Indian system of medicine having a history of thousands of years and universal acceptance. Its power to maintain optimum physical, mental and spiritual health for the entire life span of an individual is widely recognized. 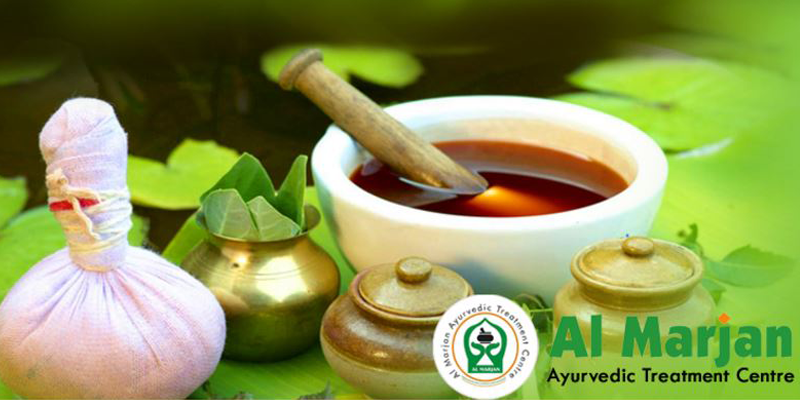 Ayurveda approach diseases not by treating only the affected part but considering the individual as a whole, to eliminate all toxic imbalances from the body and thus regain immunity and good health. 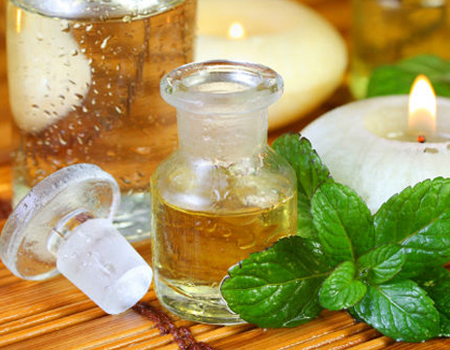 Al Marjan Ayurvedic Centre based in Ajman offers quality Ayurvedic treatment at affordable rates to the UAE residents with the same quality and expertise as they can get from India, the original birthplace of Ayurveda. Dr.Chitra Sajeev, a native of Kolladu near Panachikkadu in Kottayam district, is an Ayurvedic Practitioner at Al Marjan Ayurvedic Centre. A BAMS degree holder from Government Ayurveda College, Trivandram, she has more the Twelve years of experience in Ayurvedic medical practice. 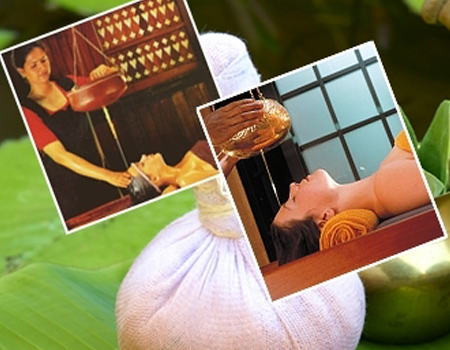 Herbal oil massage and steam bath: Ayurvedic herbal oil massages are highly effective for arthritis, rheumatism, spondylitis, body ache, paralysis etc. The massage rejuvenates and relaxes the body, improves vitality and reduces stress. It is followed by a steam bath and hot shower. Dhara: Dhara is the process of continuously pouring medicated oil or medicated buttermilk on forehead. Shirodhara gives total relaxation to mind and body. It also helps to improve memory, ensures sound sleep and stops hair fall. Nasyam: The process clears accumulated waste in throat, nose, sinus and head, stimulates the brain and cranial nerves. Nasyam helps to cure headache, sinusitis, migraine, facial paralysis, neuralgia, cervical spondylitis, epilepsy etc. 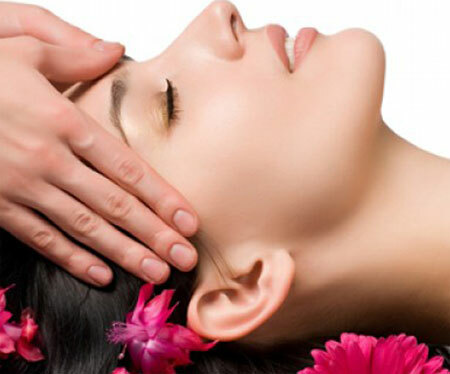 Beauty therapy: The beauty therapy offered by Al Marjan is a complete rejuvenation treatment to maintain youthfulness. The therapy includes facial with medicated ghee and herbs, face packs, fruit therapy and medicated oil for the entire body. 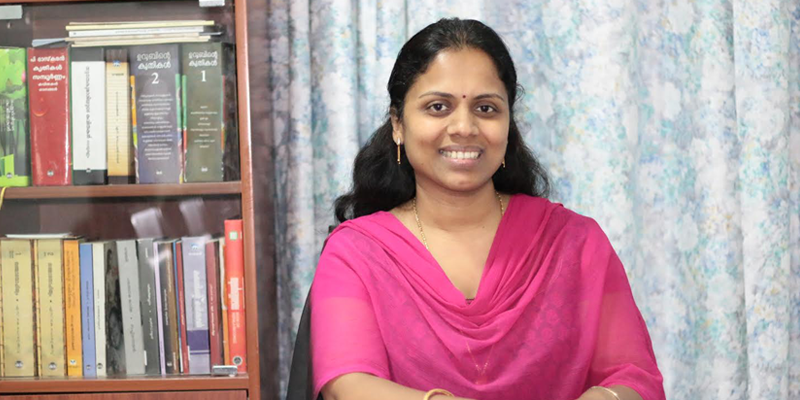 After earning the BAMS degree, Dr Chitra worked in Government Service in Kerala for one year. She shifted to the UAE in 2004 and joined Ayurvedic Herbal Health Center in Sharjah and Kottakkal Ayurvedic Centre, Ajman. After four years, she joined the partnership venture and started Al Marjan Ayurvedic Centre, Ajman with fully equipped facilities. Dr Chitra, belonging to Kizhakkekuttu House, was born as the daughter of P D Chidanandan, an ex-serviceman and PrasannaChidanandan, a home maker. 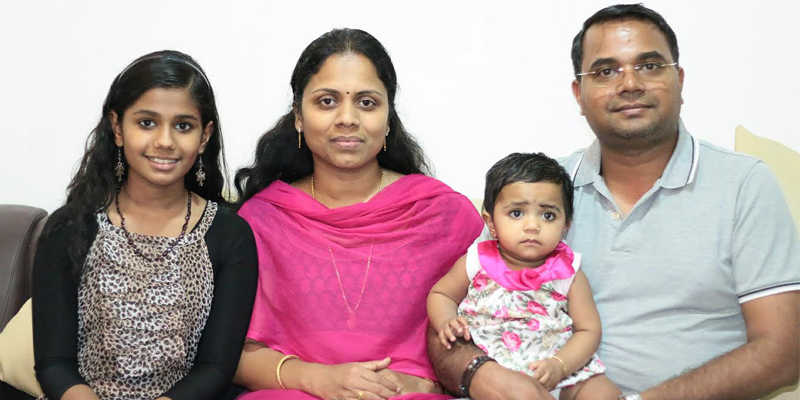 She is married to Kizhakkekuttu Thampy Sajeev, who runs Sarian General Trading LLC, Dubai, which specializes in Hotel Supplies and the couple has two daughters– Adithi K Sajeev and Advika K Sajeev. Dr.Chitra is an active member of Sevanam Social Centre & Sapthakudubham. Reading is her favourite pastime. Panchakarma & Traditional Treatments: Panchakarma is a five-fold body purification therapy for sick as well as healthy persons to eliminate deep-rooted toxins from the body. The treatment is effective for preventing premature ageing, and maintaining youthfulness and health. Kizhi: This is the process of inducing perspiration by the external application of medicated kizhi. Different types of kizhi such as navara kizhi, podi kizhi, elakizhi etc. are used for therapies. Kizhi treatment is beneficial for rheumatoid arthritis, osteo-arthritis, cervical spondilytis, Inter-Vertebral Disc Prolaps (IVDP) etc. The treatment is also ideal for frozen shoulder and sprain backache. Udwarthanam: Udwarthanam or herbal powder massage is effective for weight reduction, to reduce cellulite and for general health. Pizhichil: In Pizhichil, medicated oil is poured in a rhythmic manner all over the body. Pizhichil helps to rejuvenate the entire body, especially the neuromuscular system. It tones and rejuvenates the skin, promotes relaxation, lubricates joints, nourishes muscles, nerves, tissues and inner balance. It’s also good to treat sexual weakness, arthritis, paralysis and hemiplegia. Its aim is to provide guidance regarding food and lifestyle so that healthy people can stay healthy and folks with health challenges can improve their health.